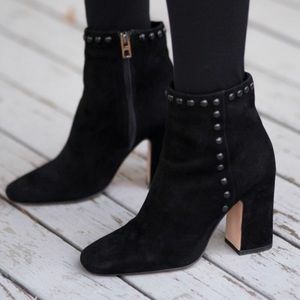 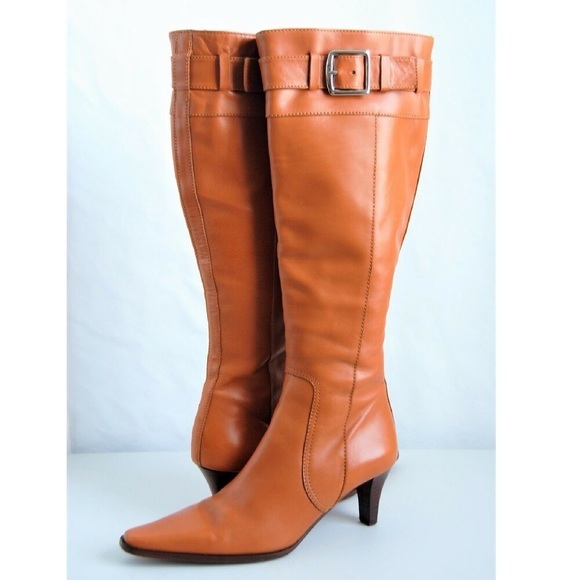 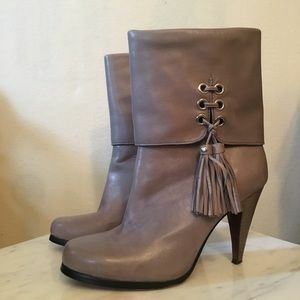 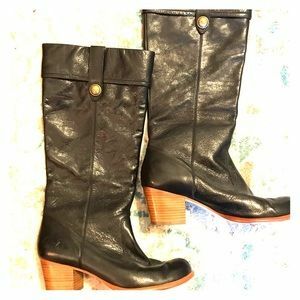 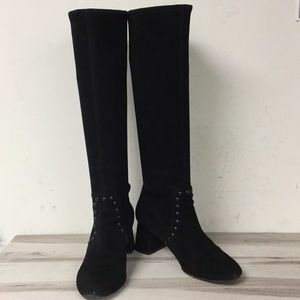 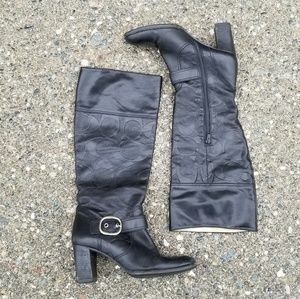 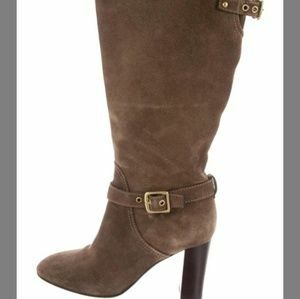 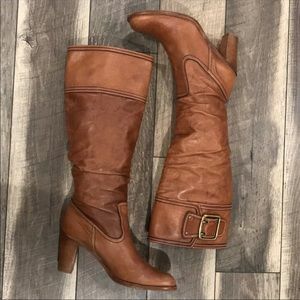 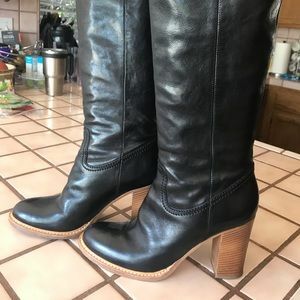 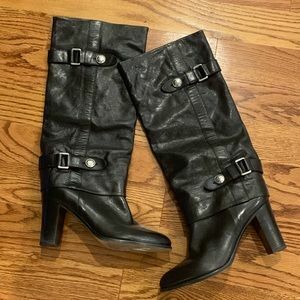 These wonderful Italian made medium heel riding boots have been moderately worn and they are in good looking shape. 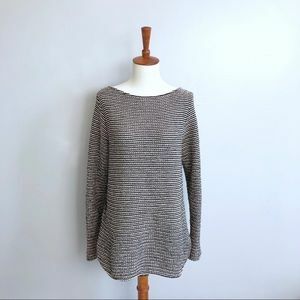 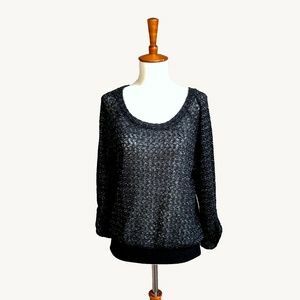 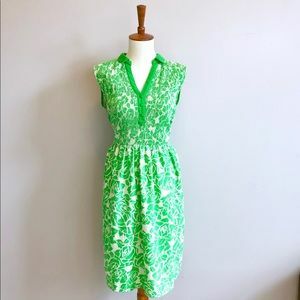 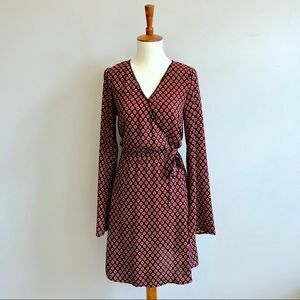 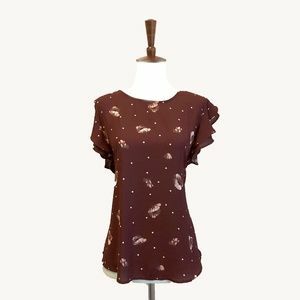 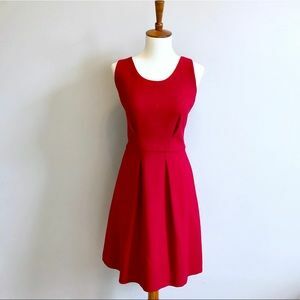 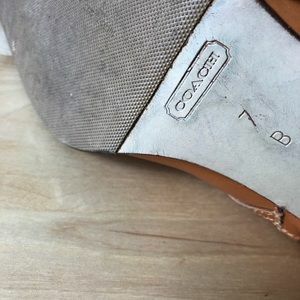 There are lighter signs of general wear. 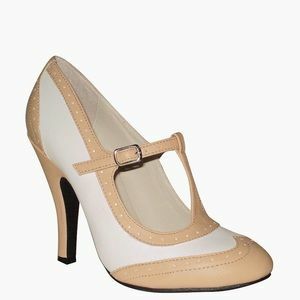 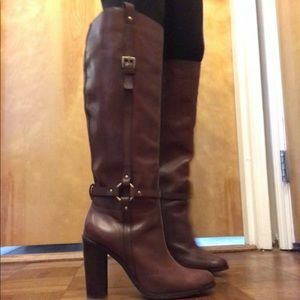 The heels measure just past 2" and the boot shaft extends upwards another 16". 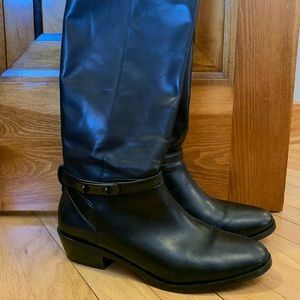 The upper boot shaft circumference is just 14". 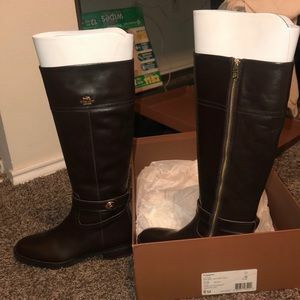 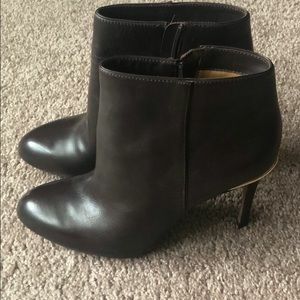 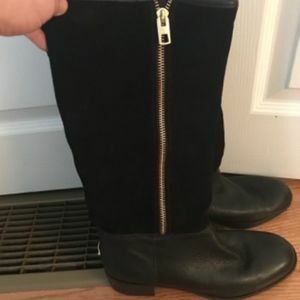 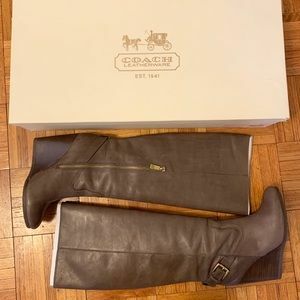 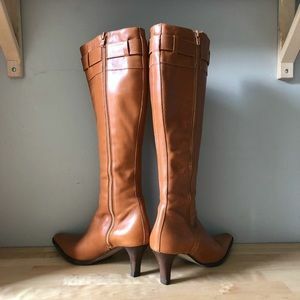 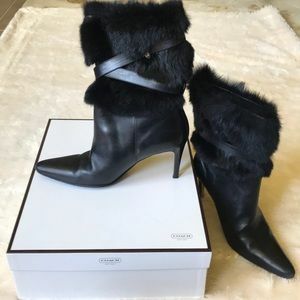 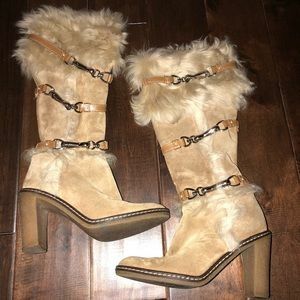 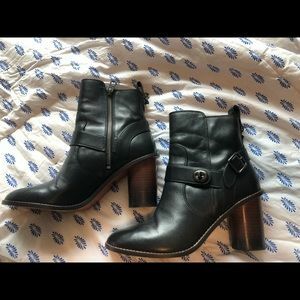 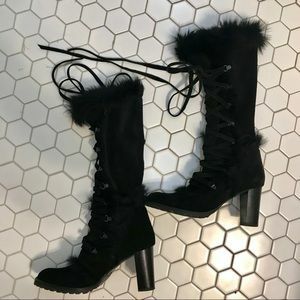 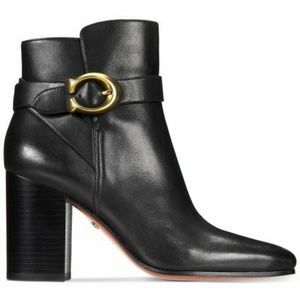 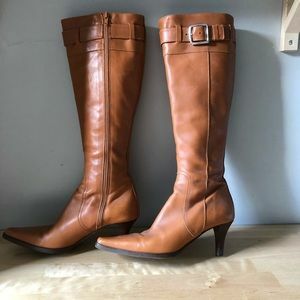 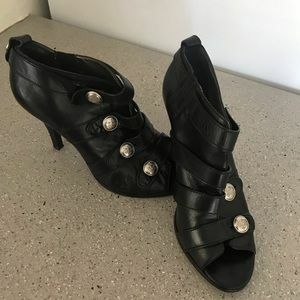 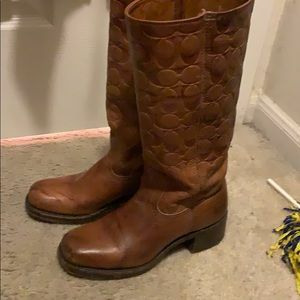 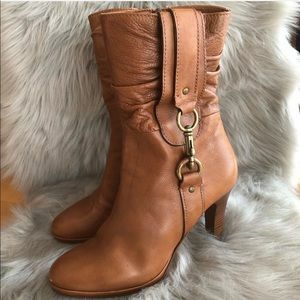 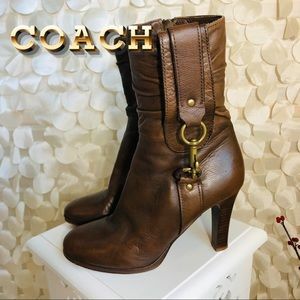 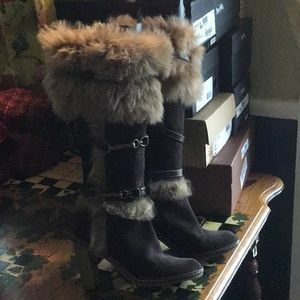 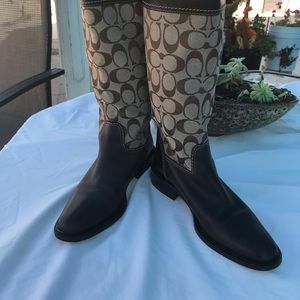 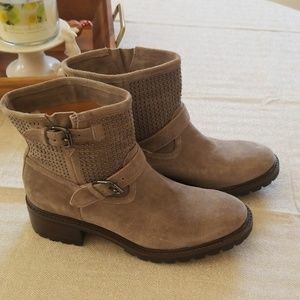 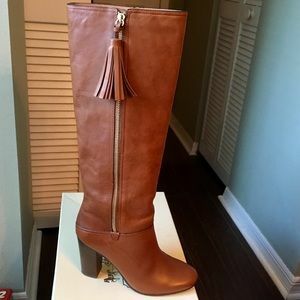 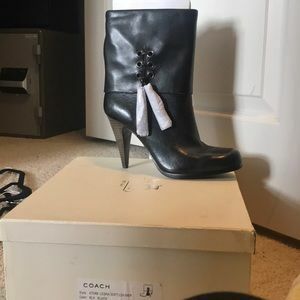 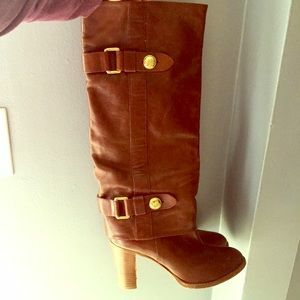 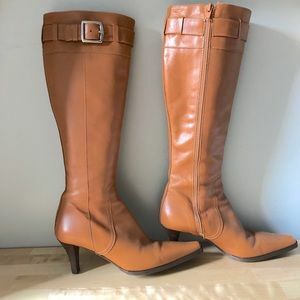 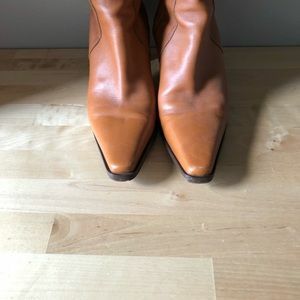 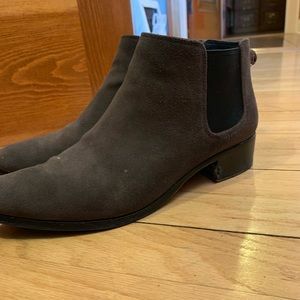 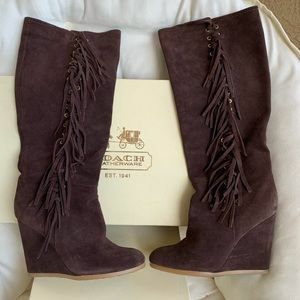 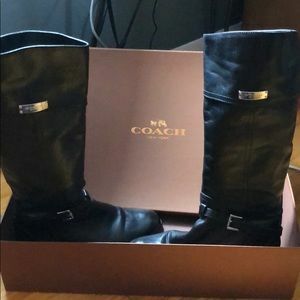 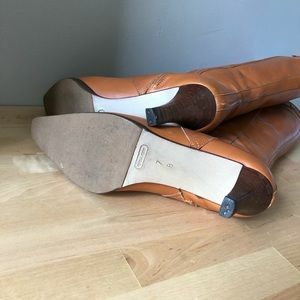 Beautiful, 100% Authentic, Coach leather boots.